If you’re looking to send a friend one of the world’s first Christmas cards, you just need a stamp and about $7,000. 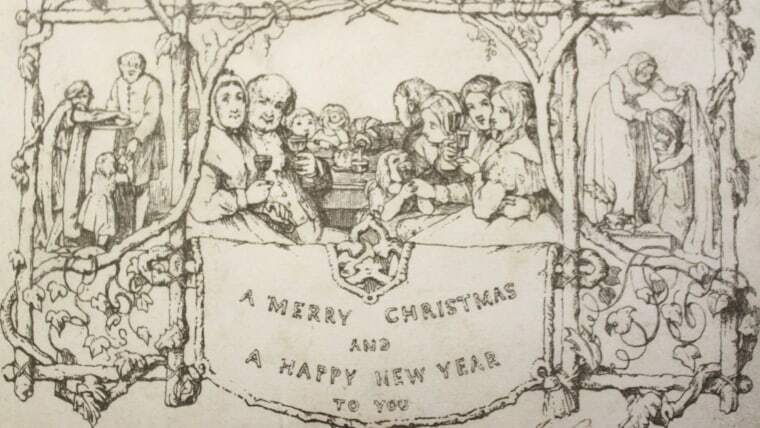 “It’s a documented fact that the first Christmas card was designed in 1843 by Sir Henry Cole, a great Victorian pioneer who also had the idea for the Penny Black, the world's first postage stamp,’’ Henry Aldridge & Son auctioneer Andrew Aldridge told TODAY.com. “In 1843 he had a bright idea of creating a Christmas card, creating 1,000 copies and selling them, while also sending ones to his friends and family." There were two types of the card printed by Cole, one in black and white and one in color. The color cards sold for six pence (roughly 10 cents), while the black-and-white ones went for five pence (roughly eight cents). There are only 14 or 15 known examples of the black-and-white cards remaining in the world, according to Aldridge. The card that was sold to the anonymous bidder on Saturday is addressed to a Marinda Cundy of London from an unknown sender with the initials JCJ.